We love decorating our environment with colour—as much today as we did thousands of years ago. Even in early times, people knew of ways to dye textiles: pieces of fabric that were dyed with indigo (dark blue) or madder (red) and approximately 5,000 years old were found in Egyptian graves. Finds in Central Europe prove that indigenous plants such as woad (blue) or bloodroot (red) were already being used 3,400–2,800 years before the birth of Christ. Our forefathers created colourants from roots, flowers, wood, cochineal, purple sea snails, and minerals. 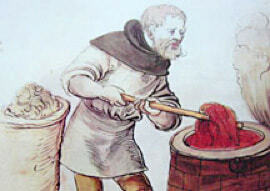 The production of these colourants and the dyes themselves tended to be very time-consuming. Early dyers were faced with the problem of permanently fixing a colourant to the fibres without it fading after exposure to water or light. For this purpose, they usually had to stain the yarn or fabric. Many dyers therefore specialised in specific dyes and kept their recipes secret. The costly procedure for the manufacture of colourants and dyes meant that colour became a symbol of power: purple, the most expensive colourant ever, was only allowed to be worn by emperors, kings, or cardinals for a long time. It was a chance find that triggered a revolution in dyeing methods: while searching for an anti-malarial product, William Perkin came across mauve (aniline purple) in 1856. His experiments with tar elements led to the discovery of the first of many synthetic colourants. The “democratisation” of dyes started with the industrial revolution at the end of the 19th century. Since then, scientists have continued to develop chemical textile colourants. Dyeing is now carried out worldwide almost exclusively using inexpensive, industrially manufactured products. The colour range for modern textile dyes is almost unlimited, their colourfastness is excellent, and the era of time-consuming dyeing using secret recipes is long gone. Nowadays, affordable dyeing is available to everyone. Simply try it out for yourself. simplicol can assist you. 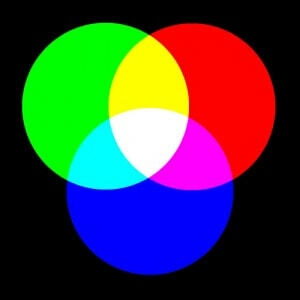 Colours are energy beams perceived by the human body. The colour oscillations that affect the human body trigger different feelings and reactions in our brain through our sense organs. Depending on our experiences, these feelings are either amplified or modified. Colourstherefore have a great impact on our sense of well-being and our attitude towards life. Auf dem Bild sehen Sie Farbkreis nach Goethe. Decisive factors in the way colour affects us are light oscillations, our experiences, associations, and the symbolism learnt in our own culture. Yellow is the colour of the sun, of light: it radiates happiness and optimism, but is also a warning colour for poisonous, explosive, or radioactive substances and in traffic lights. Yellow is intellectually stimulating. Red is the colour of blood, fire, and war—but also represents love and passion. Red stimulates our mood. Blue is the sea, sky, and infinity. It is the colour of the gods and a symbol of purity and beauty. Blue has a calming effect on us. Green is nature, spring, hope, and contentedness. Green symbolises fertility and growth—and sometimes immaturity too. A green environment is calming, regenerating, and assists concentration. It was Isaac Newton who made a fundamental discovery about the way colour is created during his experiments with prisms: white light can be split into colours. The light in our environment is a mixture of different wavelengths. and long-wave light and transmit this information to the brain. This is where the actual sensation of colour takes place. We see short-wave light as blue, mid-wave as green, and long-wave as red. Cyan, yellow, and magenta are the primary colours from which all other colours are produced. White is composed of the light of these three colours in equal proportions. And if our eyes do not receive any electromagnetic waves, we sense the colour black. These five different colour sensations are the cornerstones of colour perception, which is why we also call them the primary colours. the outcome is always a surprise. You can use our colour mixer to see what the potential colour results might be. To use colours meaningfully, you first have to think about what you want to express. This is how artists, interior designers, and graphic artists operate—and this is also how you can approach the dyeing process. The design tools available to us are colour harmonies, colour contrasts, and colour tones. In addition, designing with colour is a question of taste for which there are no binding rules. 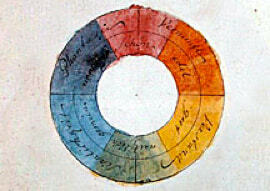 Some colour shades are perceived to be cold or warm: we sense yellow, sunset yellow, red orange, and red as warm colours. A red room feels up to 4°C warmer than a blue room. We sense blue, green, green blue, and blue violet as cold colours. The more unusual the colour combination, the more interesting it is. 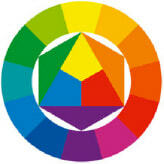 Colours that lie opposite each other in the colour circle are described as complementary colours. They contrast with each other the most strongly, set each other off in terms of brightness, and therefore create a particularly intense effect. We also perceive colours that only share one “parent” as harmonious, such as green and orange, which both are derived from yellow. Which simplicol colour suits my type? You have black or dark-brown hair, the whites of your eyes are bright, and your skin burns very quickly—you are almost certainly a winter type. And your girlfriend? She has yellow, gold, or strawberry blonde hair, her eyes have a green glow, and warm, lively, bright, and fruity colours suit her particularly well? Then your girlfriend is most likely to be a spring type. There is a connection between our type and the colours that best suit us due to the natural pigmentation of our skin and hair. Colour advisors distinguish between four basic types: spring, summer, autumn, and winter types. If you would like to match your clothing and accessories (scarves, ties, caps, shawls) to your colour type, you will find suitable colours in our range. 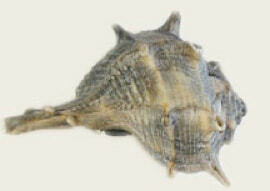 The skin is usually light, sensitive, almost pale, and transparent, but it can also have a yellow to delicate gold tone. The spring type is generally sensitive to the sun but can also tan quickly. If the spring type has freckles, these are mostly golden brown. Spring types tend towards reddening and red patches on the face. The spring type has a light and radiant eye colour; the eyes are mainly blue, green, or amber brown. The hair colour of spring types is often golden blonde, golden brown, golden beige, or light red. This type naturally has strands of hair in different shades, especially after frequent exposure to the sun. The spring type usually has fine hair. Warm, clear, and light colours such as apricot, lime green, gold beige, and soft turquoise emphasise the delicate characteristics of this type, give a radiant glow to the complexion, as well as smoothen tiredness lines. Dark, heavy tones such as black, cool intense tones such as pink, mixed colours such as olive, or pastel colours such as light blue are less suitable for the spring type. They either dominate the appearance or make this type seem more inconspicuous. The skin is a cool-bluish, light shade, and sometimes also rosy. The summer type tans well. If the summer type has freckles, these are more grey/ash brown rather than golden brown. The eye colour of the summer type is blue, grey blue, grey green, or more often a mixture of all three. The eyes have a cloudy appearance; the whites of the eyes are not clear and contrast little with the iris. Depending on the light, the colour of the eyes may vary. Exceptionally, summer types might have brown eyes. Summer types typically have ash tones: ash blonde, ash brown or silver, platinum blonde. Golden blonde is not part of the range; the hair does not have any golden highlights, but is either matt or has a silver sheen. Cool, subdued shades such as smoky blue, denim blue, mauve, raspberry red, lilac, pink, as well as powdery cool pastel colours and shades of brown that tend towards pink not yellow, are particularly suitable for summer types. These colours give the face a fresh look and perfectly complement the skin and hair. Loud and intense colours such as acid green and bright blue, yellowish shades such as salmon and orange, yellowy beige shades, black, and pure white are less suitable for summer types: they create a wan and tired appearance. The skin of the autumn type usually has a yellow-gold, warm undertone. Depending on the predisposition, the complexion either has a transparent appearance (sometimes with light-reddish freckles) or a champagne tone. Alternatively, the skin of the autumn type is a strong golden, beige, or peach. The eyes of the autumn type are often quite striking, as they almost always have an intense look and are sometimes crystal-clear or almost glowing. The most common eye colours are light blue, brown (amber or intense dark brown), and green, occasionally steel blue. Many autumn types typically have a speckled iris with a golden hue. The characteristic hair colour of the autumn type is red—from carrot red to copper red and chestnut brown. There are also autumn types with medium blonde or dark blonde hair, but they always have golden or light reddish highlights. Like the complexion, the hair always has a warm shimmer. All natural autumn colours that have a warm, earthy, and golden glow are suitable for this type. They harmonise with the skin and hair as well as liven the complexion. These include terracotta and rust, orange red, yellow green, moss green, and all warm brown and beige tones from chestnut, mahogany, and bronze to camel. The autumn type is the only type that is able to wear subdued mixed colours such as khaki and curry. Cold, garish shades such as pink and lemon yellow, cool blue shades such as navy blue and black. These colours often make autumn types look sickly, give the skin a less even appearance, and accentuate dark shadows and wrinkles. The skin of the winter type is mostly cool-bluish, porcelain-like, and does not tan easily. Alternatively, it is slightly olive-coloured and tans quickly. The winter type rarely has freckles, and if so, they appear grey. The eye colour of the winter type is always cool and intense, such as blue, dark brown, green, or grey. The colours stand out in contrast to the whites of the eyes. Typically, winter types have dark hair colours, such as brown (ash), black, and blue black. However, hair may also be cool blonde, e.g. platinum blonde. Clear, cool, and strong colours, such as royal blue, fuchsia, pink, scarlet, cherry red, bottle green, black, white, and strong lemon yellow, are suitable for the winter type. All washed-out pastel shades, brown-beige shades, and warm colours do not particularly suit the winter type. Rainbows are created when the sun is reflected by billions of droplets of moisture in the air: when white light encounters a raindrop in the air, the raindrop reflects the light on its surface. The light is split into different wavelengths, which werecogniseas red, orange, yellow, green, blue, indigo, and violet. Children love these bright rainbow colours. We now know that strong colours have a positive impact on the development of children. Treat your children, grandchildren, nieces, and nephews: bring out bright and colourful accents quickly and easily with simplicol dyes.